The great thing about traveling by bus charter is that your specific needs don’t have to fit into a one-size-fits-all solution. 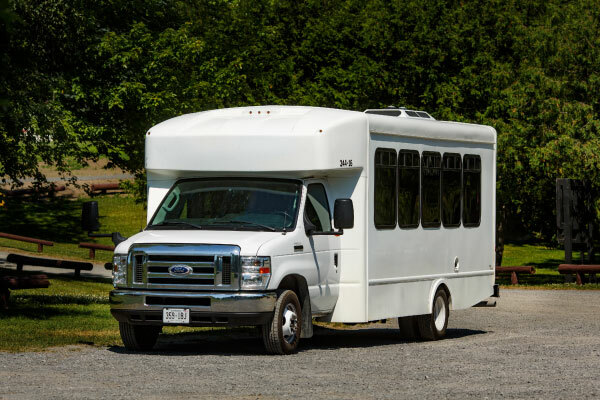 Private buses come in all shapes and sizes to accommodate various events and trip needs. 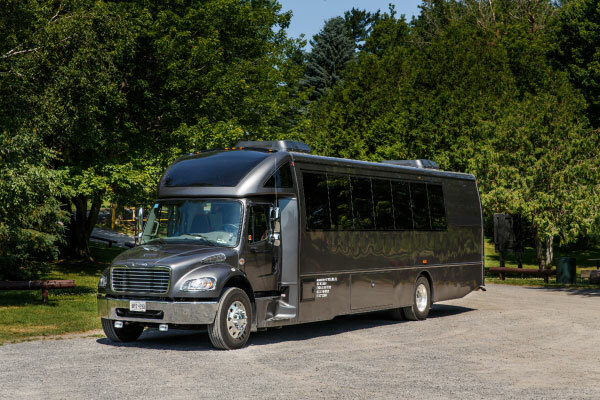 We’ve helped people all over North America source the most reliable and top quality bus charter rentals. So, whether you are looking for a charter that’s big enough for your entire sports team or class, or need bus transportation for your wedding party or corporate retreat, we’ve got you covered. Here's a quick guide to the most common types of buses to get you started. Not Sure Which Bus to Choose? We want you to have the perfect bus rental experience. Let us know what your trip needs are, and our bus experts will help you pick the option that’s best suited for you based on your budget, itinerary, and schedule. How Do I Choose the Right Bus? A chartered bus can be the easiest and most cost-effective transportation solution available. 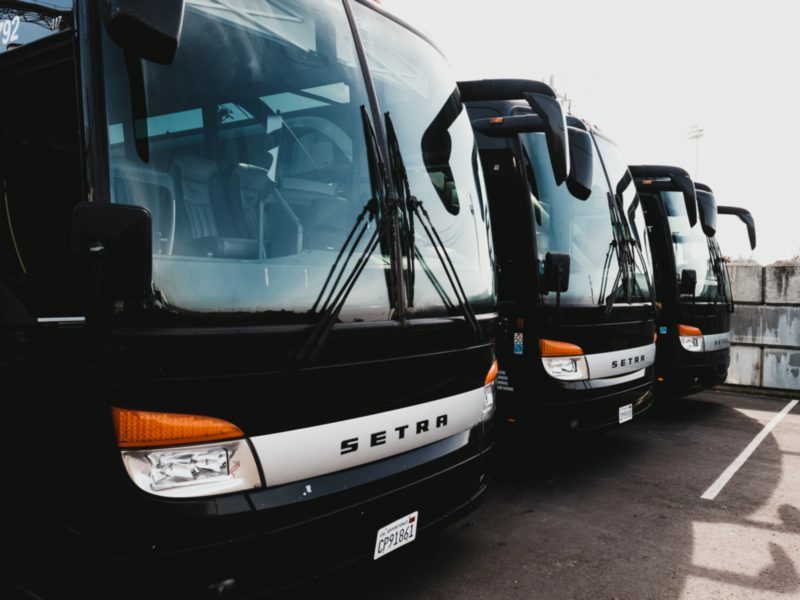 Whether you’re looking to charter it for a wedding, corporate event, field trip, or any special occasion, there are some important details you need to consider before choosing your charter bus rental. Things such as local availability, calculating your entire trip distance, special equipment/bus access, and any additional items (like WiFi or a wired PA system) must be accounted for. The type of bus you need to rent largely depends on the amount of people you’re looking to move. Luckily, seating arrangements can vary from as little as 21 seats in the case of minibuses, while some coach buses can accommodate up to 57 passengers. So, for smaller groups, such as an intimate bridal party, a minibus may be sufficient, but if you’re deciding on transportation for an entire sports team or a large corporate retreat, chartering a few 55-passenger coach buses will be more practical. Buses come with different storage solutions. Although coach buses are a safe bet with dedicated storage space above and below seats, you can still get creative with school buses. We’ve seen sports teams and festival-goers reserve rows in the front or back of the bus to serve as makeshift storage for their sports fear or camping equipment! Heading out for special occasion and want to pull out all the stops? A mini coach bus decked out with its own entertainment system and leather seats for a night out on the town will surely impress your guests! For longer rides where comfort and productivity are your top priorities, a full size coach bus comes equipped with reclining seats, air conditioning, power outlets, and WiFi as per your request. However, if you’re just looking for a simple way to get from point A to point B, and extra amenities aren’t necessary, a school bus will serve your needs just right. 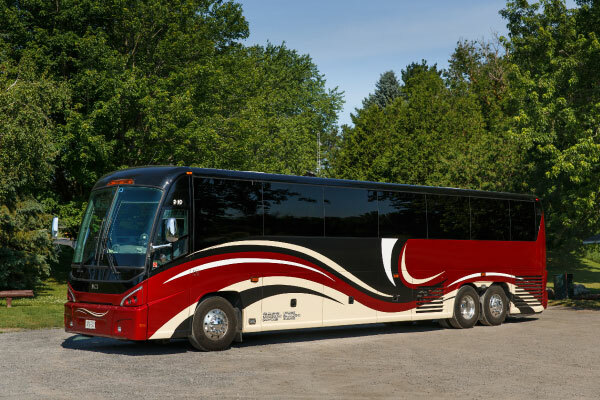 For long distance trips, we recommend renting a coach bus. On top of having all the amenities you need for extra comfort, like an onboard bathroom and reclining seats, they’re built with suspension that school buses don’t have. That way, you’ll definitely be more comfortable for that long-haul ride! A big misconception in the industry is that smaller buses mean lower costs. Actually, size doesn’t matter as much – smaller buses aren’t significantly less expensive. The biggest expense is the driver's time and how many drivers you’ll need. This number depends on the travel time to your destination. By law, longer trips may require multiple drivers – all for which gratuity and accommodations must be considered. Thankfully, we’re able to help you calculate those costs directly into your charter bus rental quote! Depending on what kind of event you are chartering a bus for, some bus types may be better suited. For example, coaches are great for accommodating airport and hotel transfers for conferences or sports teams – they can be easily parked and looped around for multiple pickups. 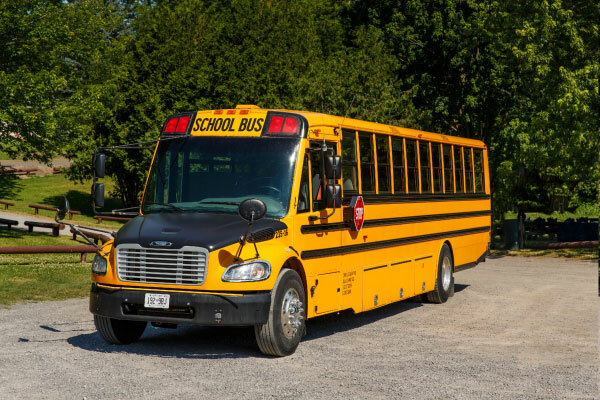 As for nearby field trips or corporate offsites, school buses are both an affordable and convenient option to help you get around – and a perfect ride down memory lane. You know what type of bus you are looking for, you know where you are going, and now there is only one thing left to do – book that bus! Don’t have all your questions answered? That’s ok too, our booking specialists are there to help you get your trip going in the best way possible.